Yesterday I highlighted what my favourite posts of the last year were, choosing one per month (and leaving out many that were probably just as worthy as a result). As a related idea, last year I also summarized what the most popular posts of the year were, and I thought I’d also do that again this year. WordPress keeps tabs not only on how many visitors your site gets, but also which pages they’re visiting. By far and away the page that gets the most visits is my home page, with the blog stats returning 33,333 hits in the last 365 days, as of this evening. My “About Me” page also gets quite a few. But what about the others? What are people looking for? Well, most people are looking to find more about milk snakes. Although I don’t typically rank very high on the Google web searches, my photos can often be found on the first handful of pages of results for relevant search terms. I think this is how most people searching for milk snakes, or even just “snake”, arrive here. In a search for “eastern milk snake”, the above photo even makes the first page, and I suppose is different enough to catch people’s interest. A grand total of 7,861 people dropped by to check out the milk snake post. 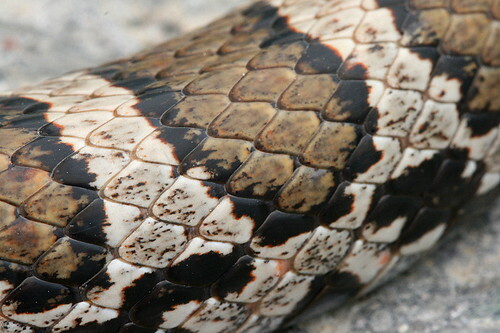 Compared to the milk snake, all of the rest of my posts have a rather paltry visit count. The next closest, if you can still even call it close, is my grapevine beetle post. 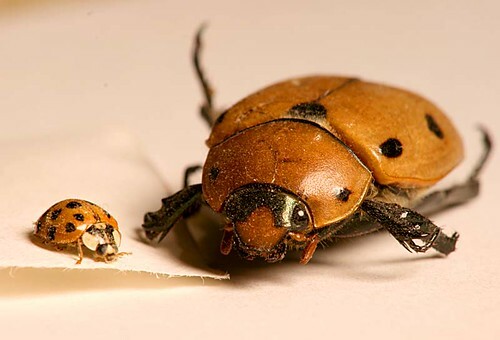 The above photo comes up on the first page of image results for “grapevine beetle”, and probably accounts for much of the traffic. There aren’t very many images on that first page that offer a sense of scale, so perhaps that’s why this one is interesting. Over the last year, this post got 2,139 people visiting. 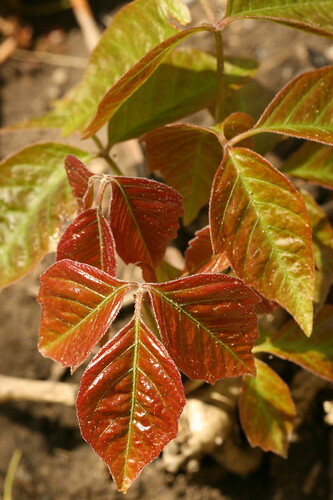 Ranked number three, with just 1,509 hits, is my post on poison ivy. Given just how many pages there are out there about the subject, it’s surprising that it gets even that much regular traffic. It doesn’t come up on the first few pages of Google results. Coming in fourth is my post on White Pines, the Tree of Great Peace. It collected 1,298 page views over the last year. It’s likewise a commonly discussed subject, so visitors must be coming by way of more detailed searches. I’m a little surprised that my fifth-ranked post, about house centipedes, isn’t higher on the list considering how creepy most people find them. On the other hand, so many people find them creepy, there’s lots of web content about them. It had 1,292 hits. Number six is about water bugs – a handful of species of invertebrates that I found in some pond water samples. 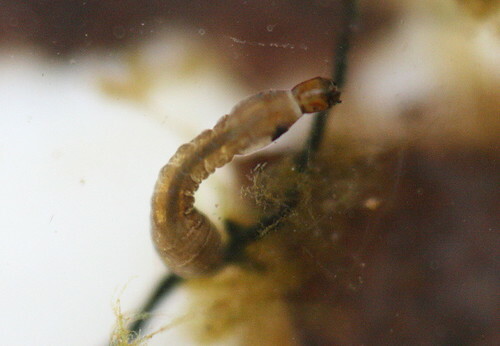 Although the post mentions a number of species, I suspect many, if not most, of the 1,264 visitors were searching for info on blackfly larvae, the corresponding photo of which, above, comes up on the first page of Google image search results for the subject. 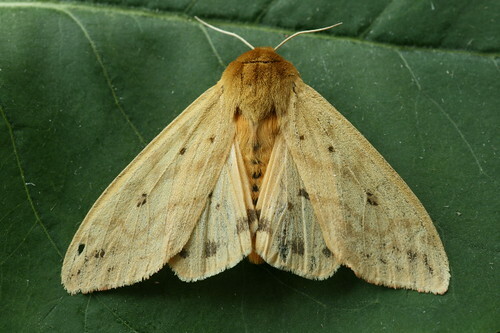 The seventh post, I’m delighted to say, is about a few colourful moths. Yay moths! I would hazard a guess that the particular moth most of the visitors were interested in was the Isabella Tiger Moth, above, which is the adult form of our very familiar Woolly Bear caterpillar. The above photo is the very first image returned for the Google image search “Wooly bear caterpillar moth” (number two if you spell woolly with two L’s). It’s had 1,235 visitors over the last year. 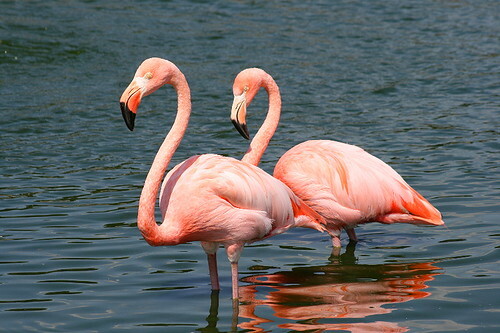 Some 1,185 people have come by to check out my post on flamingos. The post was titled “pink flamingos for the yard” and I’ve noticed a number of search terms on my stats pages indicating people looking for plastic lawn flamingos. These ones probably weren’t what they were looking for; they were captive birds kept by a neighbour down the road from my parents’ old house who bred them and sold them to zoological institutions. 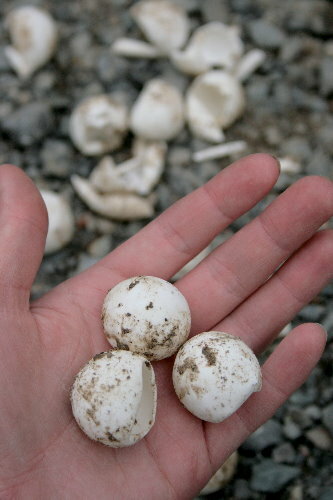 I noticed that as soon as my post on snapping turtle eggs went up last June that it started getting a lot of hits. In just half a year it’s accumulated 1,149 page views. It’s a shame that the eggs I found had been depredated already, but hopefully the post at least offered some useful information. 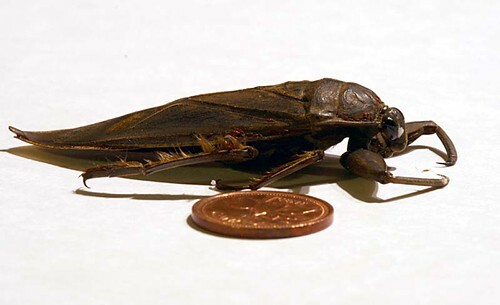 And rounding out my top ten, the only other one with more than a thousand hits (1,007 total), was my post on giant water bugs. This one got picked up on a web forum – for video game animation or something weird like that – which still brings me periodic hits. The popularity, I think, is partly due to the post’s title, “monster bug”. One of the photos comes up on the second page of Google image results for that term. 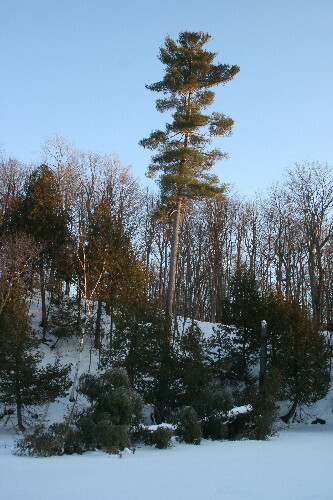 It’s interesting to note that only two of these ten posts are actually from 2009: the white pine and the snapping turtle. All the rest are from 2008. What a neat review! These are all fantastic images and great articles. Yep, I admit the snake would definitely draw me in if I was searching for it. As someone who never looks at site stats, I’m intrigued by the idea of taking a look at what garners the most attention (accounting for those posts that generate the most spammer activity, I mean). I like that you found the traffic covered such a wide range of topics. Thanks, Jason. I like to follow what posts get the most activity, mostly out of interest than because I’ll actually do anything with the information. I do also closely monitor referring pages, in part because I find a lot of people will add my blog to their blogroll and I’ll discover it that way. I like to try to keep my blogroll fairly complete with reciprocated links. I’ve also discovered people linking to my blog in forums or other websites through the referrals list, and it’s interesting sometimes to see where your site turns up. 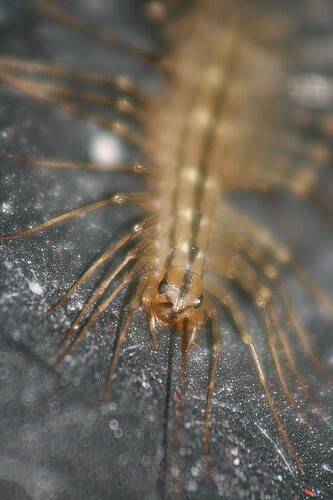 Ugh, that house centipede gives me the shivers. I’ve spotted them around our place a few times and they’re so fast. I’m okay with most critters but there is just something about those that I find most unsettling! Dan’s the same way! Only in a more manly fashion. ;) Funny, they don’t bother me at all, but most other people I know are creeped out by them. My equivalent is earwigs – I make Dan (or the pets) take care of earwigs in the house. Didn’t know you were keeping a blog! I’ll have to remember to pop over.